← Re: Health worth 80p a day? Michael J Fox: We posted an article a while ago – VERY similar to this one. However you will see in this version the blatant facts about the use of aspartame as a direct poison for ants and the use to intentionally induce cancerous tumours in rats. Certain celebrities have been associated with specific diseases. For instance, Patrick Swayze will be associated with pancreatic cancer indefinitely. Michael J. Fox represents Parkinson’s disease, and the Marlboro Man ironically represents lung cancer. For those who do not remember, the Marlboro Men were the smoking cowboys who attempted to make filtered cigarettes seem more masculine. The commercials were a huge success, until all of the actors began dying from lung cancer. The demise of the Marlboro Men was publicized heavily by the mainstream media, because it has long been open season against tobacco products, since it became illegal for tobacco companies to fund news shows. The cause of Michael Fox’s Parkinson’s disease is always side-stepped by the media, similar to the dishonest tobacco precedent. Readers may notice there has never been a peep about the cause; and moreover, the talk has been singularly about finding the supposedly elusive cure. The cause of Fox’s disease is not yet politically correct to attack. It would get most reporters fired. Throughout the 1980’s, Michael did commercials for Pepsico, and he promoted Diet Pepsi cola exclusively in the latter years of his contract. It is believed that he became an ardent consumer of Diet Pepsi throughout this period (even off-set). Then, in 1991, Michael was diagnosed with young-onset Parkinson’s disease. It would be seven years before he told the public about his diagnosis, so the link has been missed by most people. In 2000, Michael founded the Michael J. Fox Foundation, which was supposed to help discover the cause and cure for Parkinson’s disease. Various groups have sent information to the foundation about the link between aspartame (found in diet colas) and Parkinson’s disease, but they have been ignored. The group instead donated $175,000,000 to researchers of Parkinson’s disease, while wholly ignoring the existing information about aspartame, just as most researchers have. The foundation is yet another organization which apparently believes that funneling even more money into the petrochemical cartel will help to find an elusive cure, for something that would require an admission of guilt to cure, and the loss of a billion dollar diet drinks industry. The chemical industry is the problem, not the solution. Their profits from treatment regimens soar higher with each new Michael that they create. Meanwhile, they continue promoting diet drinks as the healthy alternative, because sugars, after all, are bad. The mainstream medical establishment apparently does not know the cause of Parkinson’s disease, but it has been linked with heavy metal exposure and excitotoxins. N-methyl-D-aspartate (NMDA) receptors in the brain are responsible for the excitotoxicity associated with Parkinson’s disease. Aspartate is one of the main components that is released when aspartame is metabolized, and it directly effects the NMDA receptors. Regular intake of aspartame damages those receptors, and can eventually lead to Parkinson’s disease. It is known that Parkinson’s disease occurs whenever the dopamine-related nerve cells inside the brain are decimated. With dramatically decreased dopamine, the nerve cells in the effected part of the brain cannot properly transmit messages. In studies, aspartame has been shown to decrease dopamine levels in the brain to induce the unmistakable neurological decline that is seen in Parkinson’s patients. A troubling study from the Norwegian University of Science, verified aspartame as an excitotoxin, and as a neurotoxin that is particularly dangerous to children. None of this is ever mentioned by either the Michael J. Fox Foundation, nor any mainstream media outlets, who avoid the topic of aspartame. Aspartame will cause the death of brain cells and damage to the brain neurons without any other implicating factors. It is a pure poison that is sometimes used to kill ants, and it is known to be the surest way to cause brain tumors in laboratory rats. Some cancer studies have used aspartame to intentionally induce cancers in laboratory rats, for the purpose of later testing anti-cancer drugs. Aspartame is chosen because it is so reliable at producing cancers in high dosages. In addition to its ability to cause Parkinson’s disease, it may also cause multiple sclerosis, diabetes, fibromyalgia, reduced intelligence, obesity, asthma, muscle spasms, and a total of 92 symptoms that even the F.D.A. was forced to confess. There is a great irony that obesity is one of the side effects of aspartame, considering it is used exclusively in diet products. The same chemical industry that produces this poison is the industry that sells even more lucrative treatments for the aftermath, so it is a case of one hand washing the other. Therefore, the cure will not be found anytime soon. In January of 1980, the F.D.A. 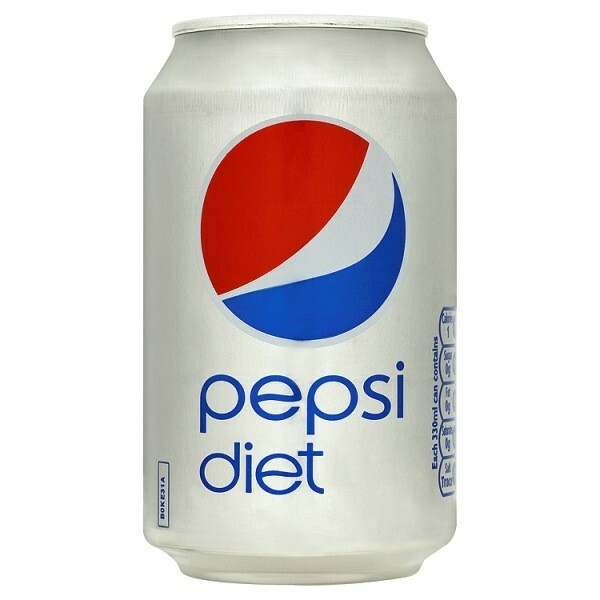 advisory board banned aspartame, because their research showed that it caused brain tumors. This decision could only be overturned by the commissioner. Then, in November 1980, Donald Rumsfeld was hired as part of the transition team for President Ronald Reagan, prior to which, he had been the President of Searle (the company that created aspartame). On the first day of the new administration, the previous F.D.A. commissioner’s authority was suspended, and Rumsfeld assigned Dr. Arthur Hayes as the new head of the F.D.A. Hayes was previously just a defense contractor, but he had a close relationship to Rumsfeld because they had worked together under the Nixon Administration in close contact with the President of Pepsico. Hayes’ first decision was to approve aspartame for dry foods, and by the end of 1983, he had approved aspartame for soft drinks too. He was later forced to leave the agency, due to media pressure for his acceptance of corporate “gifts”. The defense contractor then went to the Searle public relations firm as its “senior medical adviser”. Shortly thereafter, Monsanto purchased Searle. Rumsfeld received a $12 million “bonus” for his help in ram-rodding the F.D.A. into unbanning aspartame. Perhaps Michael J. Fox will someday realize what caused his disease, and if he does, we hope that he will use his celebrity influence to inform others about aspartame. There are very few people who drink Diet Pepsi as frequently as Michael did, particularly at such a young age. Thus, Parkinson’s disease rarely occurs in people so young. Finding the cause of these events is not difficult, except for people who are intentionally trying to avoid the obvious. Most of the organizations pretending to seek a cure, do ignore the obvious as official policy. They prefer genetic explanations, since these mean that nobody is to blame, and no reason for the funding to ever stop. Genetic explanations mean that they are certain to never find that cure, and that’s money in the bank. If the mainstream media were to spend as much time attacking excitotoxins like aspartame and MSG as they did tobacco, it would not be long before many of the major diseases, including Parkinson’s disease, became a thing of the past. Fibromyalgia would disappear completely.